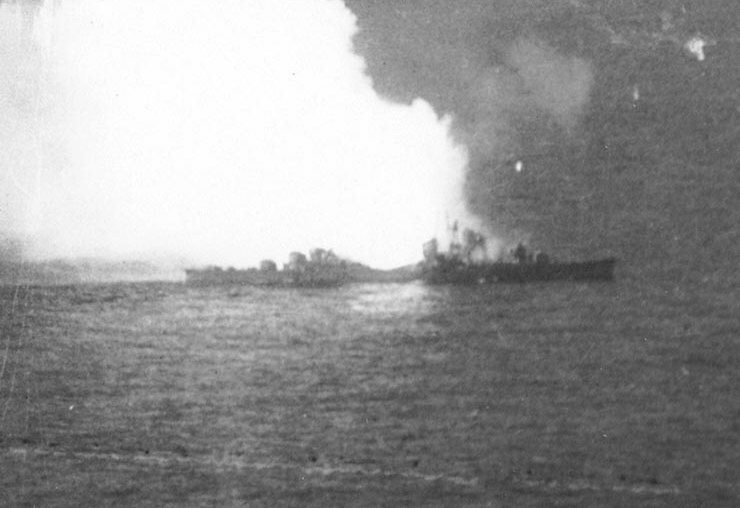 Imperial Japanese Navy Destroyer Akizuki (秋月型) blows up and is burnt. This incident was Battle off Cape Engaño (エンガノ岬沖海戦) in Battle of Leyte Gulf (レイテ沖海戦). This page was last modified on 29 September 2016, at 21:21.